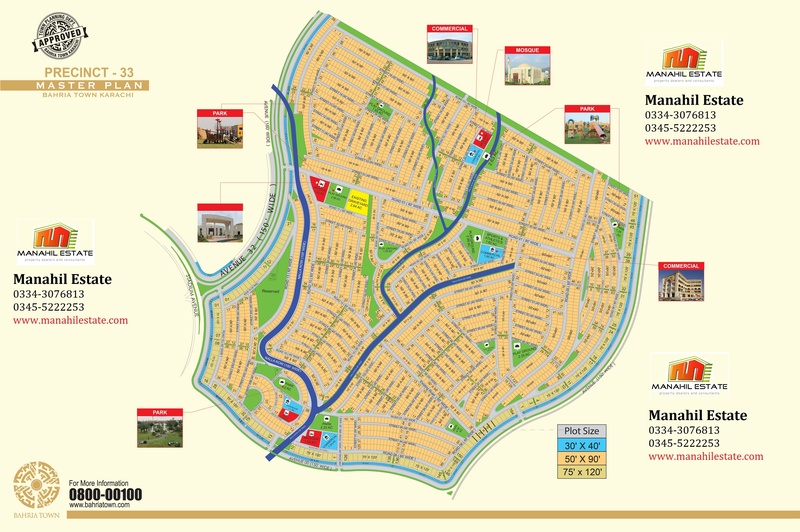 Recently, bahria town has released official maps for these new precincts and also the new masterplan is released which shows the exact location of these new precincts. 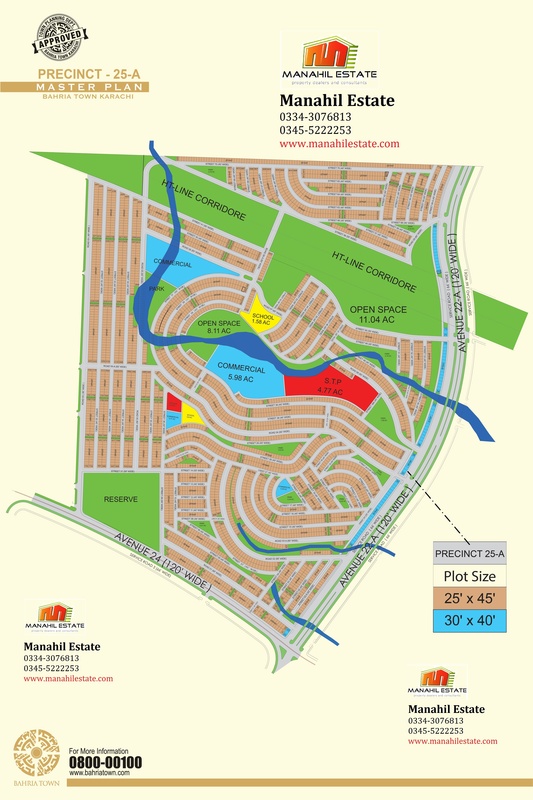 Plot prices in new precincts have now started to rise as we can determine the actual worth of land in these precincts by making comparison with surrounding blocks. 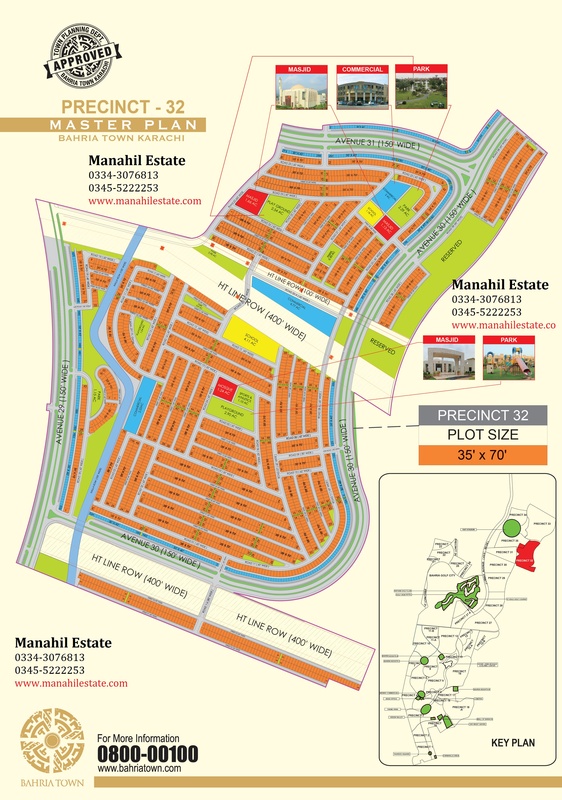 As you can see in the masterplan map given above, precinct 15b is located right next to precinct 15A, precinct 25A is located above precinct 25, and precinct 26A is well placed on jinnah avenue opposite to precinct 30 and next to golf view apartments. 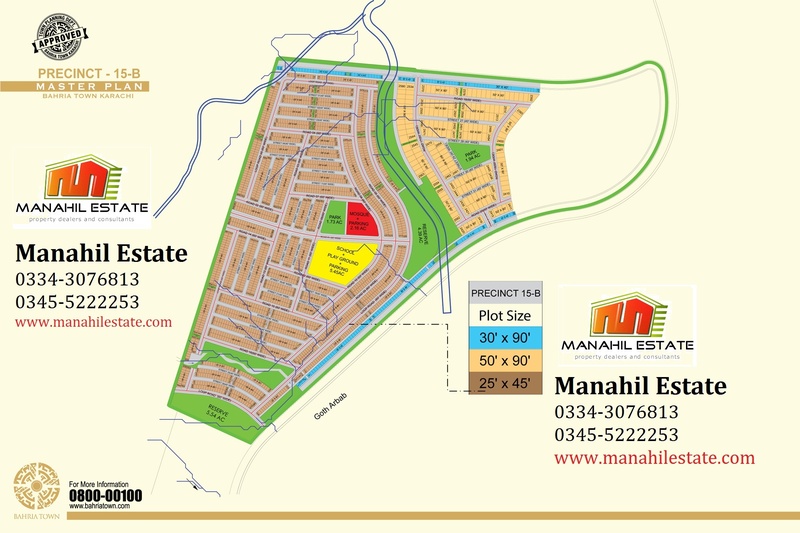 Precinct 32 is located right at the back of precinct 31, and precinct 33 is literally going to be part of Bahria Sports City as it is placed at the back of precinct 35 and Rafi Cricket Stadium. 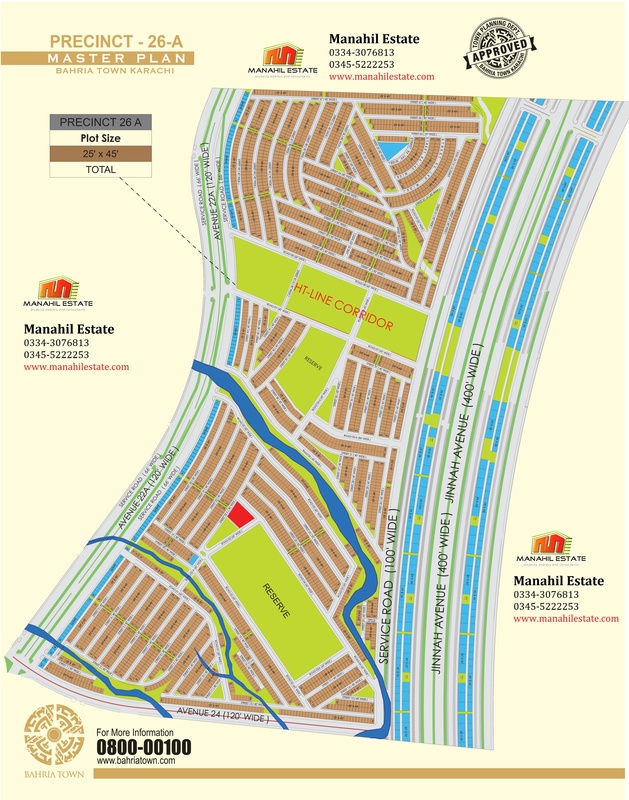 Precinct 9 is renamed to Bahria Hills in this masterplan. 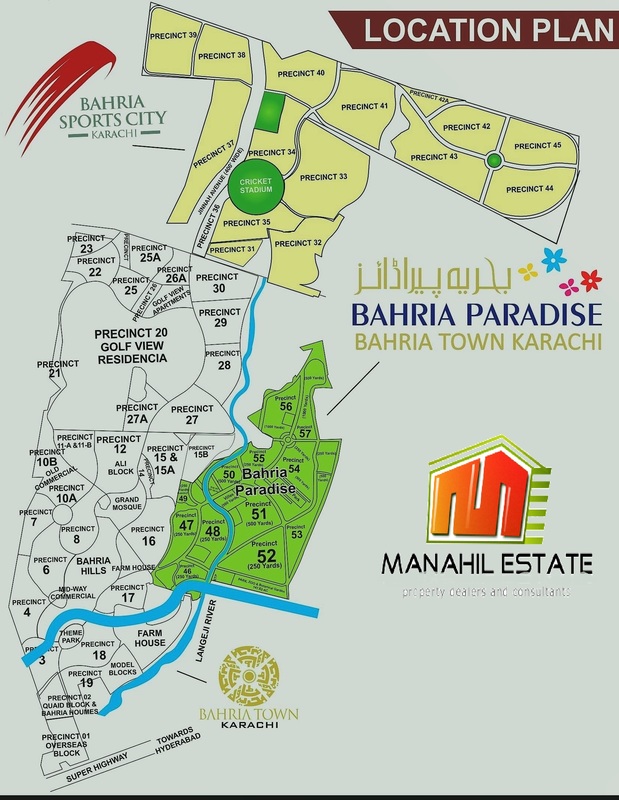 Location of Bahria Paradise Karachi is also marked on this new master plan, which is a very large area starting at the back of precinct 16 and leading up to precinct 44. 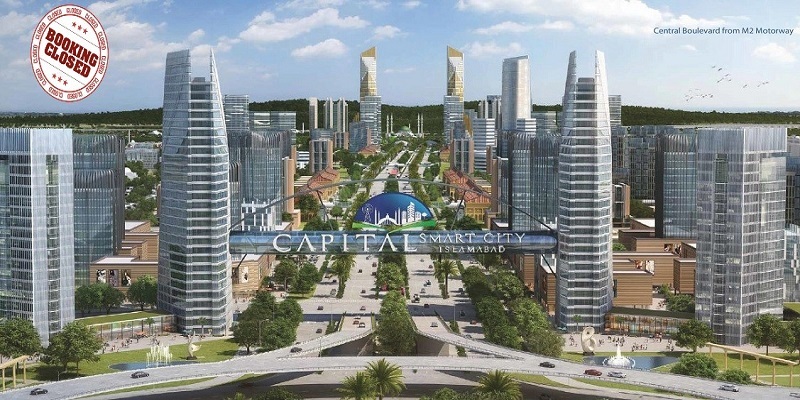 Capital Smart City Bookings Closed: Whats Coming Up Next?